This three mile hike features the popular fire tower at the summit of 2729 foot Mount Tremper located in the 7300 acre Phoenicia-Mount Tobias Wild Forest of the Catskills. It is one of the five remaining fire towers located within the Catskills. There are two lean to shelters located along the trail to the fire tower. The fire tower was built around 1917 and was used for fire observation until 1971. The trailhead is located along County Route 40 aka Old Route 28 about two miles east of Phoenicia. There is a marked parking area for about ten vehicles. The GPS coordinates are N42 04.235 W74 18.134 for those with a GPS devise or want to get directions online. From the parking area follow the well used trail marked with red DEC markers. At 0.5 miles reach the junction of an old jeep trail and the trail register. Turn right and follow the old road uphill. The trail arrives at an old quarry at 1.2 miles. Soon you'll be climbing on switchbacks and at 1.9 miles there is the junction of another old road with a posted sign. At 2.2 miles reach a side trail on the right that travels less than 100 feet to the Baldwin Memorial Lean To. The trail continues uphill and at 2.3 miles there is another side trail. This one travels less than 50 feet to a large boulder with a piped spring. 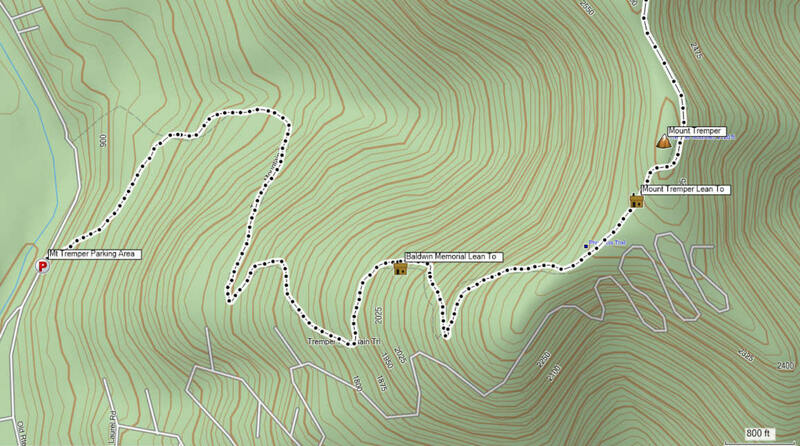 At 2.7 miles the trail begins to level and at 2.9 miles reach the Mount Tremper Lean To on your left. At 3.0 miles reach the 47 foot fire tower that offers spectacular views of the area. 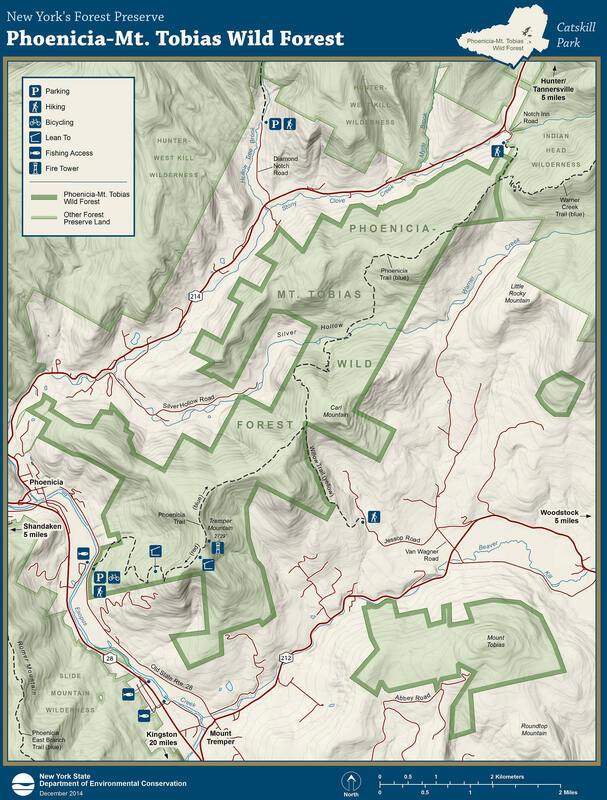 The Mount Tremper Fire Tower Trail ends at the fire tower but, the trail continues to become the blue marked Warner Creek Trail. There is an overall elevation gain of nearly 2000 feet for this three mile hike.